John Temple entered the Australian photography scene in 1996 and is steadily developing a reputation as one of Australia's leading panoramic photographers. Although keen on photography since the age of eight, John focused on other pursuits within the tourism industry until he was introduced to panoramic photography in 1996. Inspired by the versatility and depth of the panoramic photograph, John discovered a natural talent for the art. "The magic of panoramic photography is in capturing exactly what is seen with the human eye. It allows me to portray the natural landscape so others can also experience the beauty" says John. 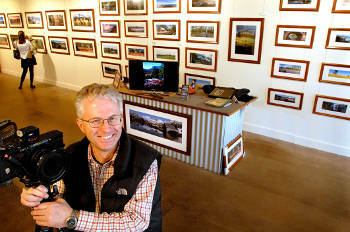 After six years as a roaming photographer working for major tourist attractions around Australia, John fulfilled a dream by opening his first photographic gallery in Northern Tasmania in January 2002.